Dazzling lights and eccentric shapes, colors, and themes. The Lantern Light Festival is back in town again! The Lantern Festival was hosted at the Miami-Dade Fairgrounds Expo and was running from November 16th to January 20th, 2019. They’re open from 5 pm to 11 pm. 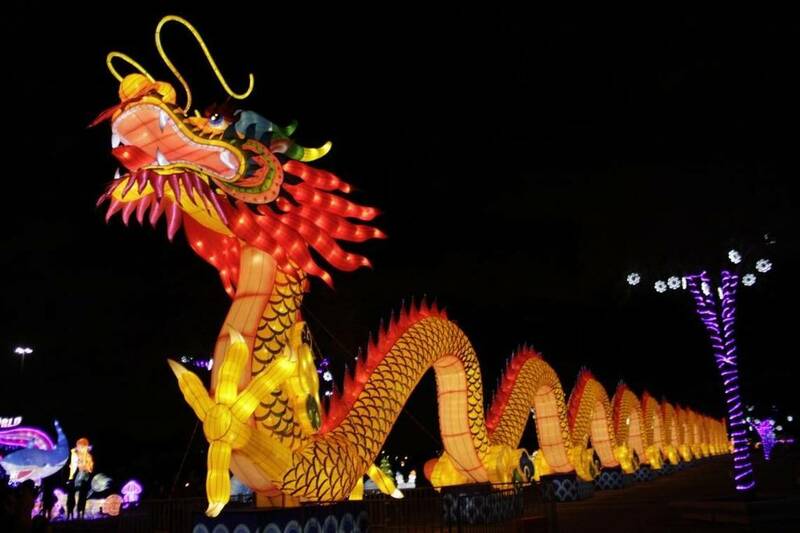 This event is famous for its massive handmade lanterns depicting anything from dragons, and castles, to exotic animals. It is a perfect event to bring your family and friends together to enjoy activities suitable for all ages. They have live performances and fireworks, plus you get the opportunity to sample traditional Chinese cuisine. Another unique aspect of this festival is the Chinese acrobats and artisans. These artisans make souvenirs and other take-home knickknacks you can’t get anywhere else. The festival exemplifies our region’s cultural diversity and is a celebration of an ancient Chinese tradition. The Lantern Light Festival is hosted at 2 other locations, one in the California Bay Area and the other in Jacksonville, Florida. A modern take on a tradition, dating back 2,000 years, is a remarkable event to experience. The original lantern festival began when the Chinese emperor heard that monks had lit lanterns in the temples to show respect to Buddha on the fifteenth day of the first lunar month. He then ordered that all the temples, households, and royal palaces should light lanterns on that evening. This Buddhist custom gradually became a grand festival among the people. The rich history of lantern festivals, coupled with the contemporary spin, makes for an unforgettable night.